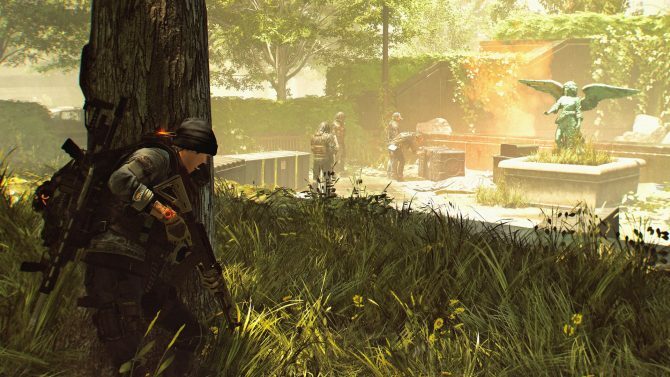 Ubisoft is preparing Tom Clancy’s The Division 2 for its launch in the spring, and we’re seeing more of the game now than we ever had. 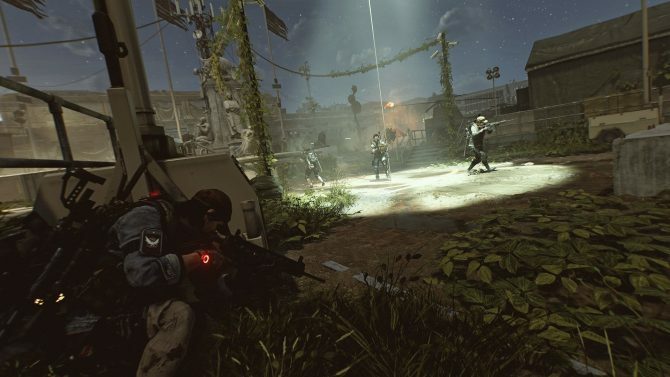 With a story trailer having been released, there is still much to be said about the game’s online multiplayer, specifically the player-versus-player aspect of Tom Clancy’s The Division 2. Last month, I got to visit the offices of co-developer Red Storm Entertainment, where I played the multiplayer myself and spoke to Terry Spier, the Creative Director at Red Storm. We discussed changes between the first and second games, where the game may head next, and how Tom Clancy’s political intrigue fits into a game that will apparently not make political statements. Chris: You talked a lot about the commitment to the feedback to the first game. I have a good understanding of the new features, but what about changes to mechanics?how shooting feels, moving around feels, etc.? Terry Spier: We rebuilt a lot from the ground up to make sure that we could service all the requests for the people. In the original game, there was a pretty clear dominance of weapon types and so on and so forth. So [co-developer] Massive [Entertainment] and all of us have taken a really hard look at how these weapons feel and how they compare to each other. And all that is still in flux?we?re still going to play with those knobs all the way until the ship date. But yeah, ?something for everyone? isn’t just a tagline. 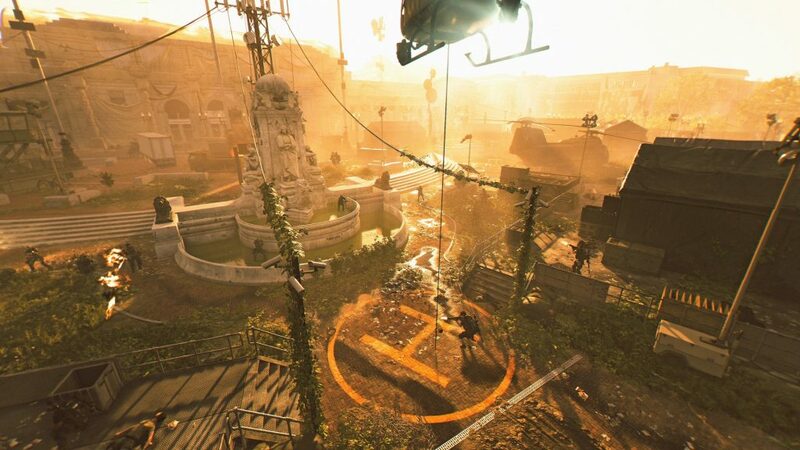 We want to make sure there?s a slice of gameplay for you to play on a continuous loop for as long as you want when you play The Division 2. If that?s exploration, we provide that for you. If that?s driving hard into the endgame and min-maxing, then we’ve got that for you. If that?s organized PvP, we’ve got that for you. I know you said, ?hey, not the features and stuff,? but we?re smoothing out the three C?s: camera, controls, character, and making sure it feels good. Hopefully, it did feel good when you played it today because a lot of work has been done on it. Making sure how it feels when you aim down sights, the spread of the weapon, the feedback we give you on the spread of the weapon and the reticule, all those things were touched. C: When talking about the campaign, whether you play it single-player or co-operatively, would you describe it as mostly linear? Is there a bit of freedom with the order you can do things? Are there any points where choices might come up, different ways to approach a mission, or any sort of variables in play? 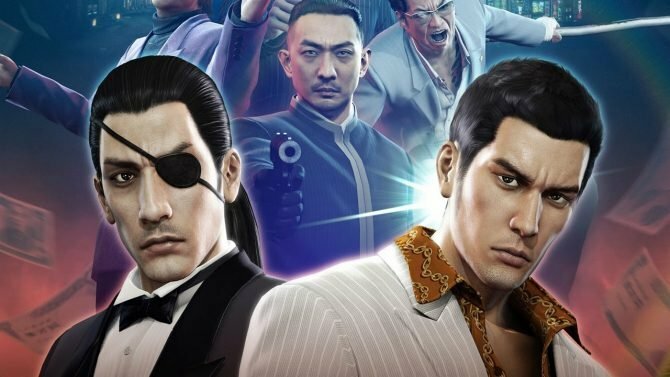 TS: I would say that the open world comes into play when you?re talking about the story campaign, and at certain points in the story campaign, things will flip on their head. So I can?t give you any more than that on the campaign, but how it changes dynamically, how it interacts with the player as they progress through it is pretty intense. C: Speaking of the world, how would you characterize the world seven months later [after the first game] tonally? Have things improved in any way, are things worse in certain regards? Walking and running around the world, is it more dangerous or have there been any attempts at stability and containment? TS: Artistically, you can imagine what the art staff has done with seven months after the outbreak. Not just the change of seasons, but just the fact that things are left alone. No one?s mowing the lawn, no one?s keeping the weeds in check, stuff like that. The world is just rusting and kind of doing what nature does. It?s a fantastic contrast. I know talked about decay [earlier today], but the Green Poison killed a lot of people, and so everything that comes with that, and what happens to a body when it sits in the sun, you?re going to experience that. I think it?s important to note that we?re not an apocalyptic game. It?s happening. We are still inside of it. The solution has not presented itself. We’ve had some success in Manhattan, but the world is still teetering on the edge. So you do see that in the settlements and the civilians who are working hard. We didn’t have anything like that in the original game. You just had people that were just shellshocked, and then you were working through how to get Manhattan back online. Now you?re actually helping the people, they’ve got places, and you?re going to see how your efforts impact how they thrive or survive. The world changes over the course of the campaign. I know you can?t see this in the recording (Terry motions to a poster for the game) but I think it?s great to see these three settlements, and all this out here? Crazy. It?s about hostility, and all of that hostility is working hard to get into these settlements. That?s what you?re trying to protect. You?re trying to make sure that those [settlements] rebuild. C: And all of these parts of the world that you?re describing, these are all things you can interact with on the world? C: Is everyone you encounter a binary ?good guy or guy you shoot,? or is there a whole spectrum of people with different motivations and what not? C: Talk to me about the setting of Washington D.C. Are there any thematic things that come from setting it specifically in the nation?s capital? And physically, was there anything geographically or architecturally interesting about building the game?s world from that real-life location? T: It?s very tough to top Manhattan; Manhattan is such an iconic city. So I think that was priority number one, making sure that the sequel would go to a city that was just as spectacular. And thankfully D.C. is pretty well-known. Narratively it ties in really well because, the Strategic Homeland Division?SHD [pronounced “shade”]?it?s a government agency, and you?re talking about a fictional world where the government in that fictional world is teetering on the edge, and there?s a lot of disorder happening. Technically SHD is part of the government and they?re trying their hardest to make sure that that remains intact. So we?re kind of taking the heart of SHD and saying, ?It?s about to die, what happens if that dies? What happens to the group that?s supposed to defend all of us if the city dies?? It really worked itself out nicely because you got these iconic monuments and all this fantastic stuff that?s so well-known from all kinds of artistic pieces: movies, novels, games, stuff like that. So being able to apply our take on all of that and have it work narratively was a no-brainer. C: There are a lot of games on the market right now that are ?always online,? or ?games as a service.? 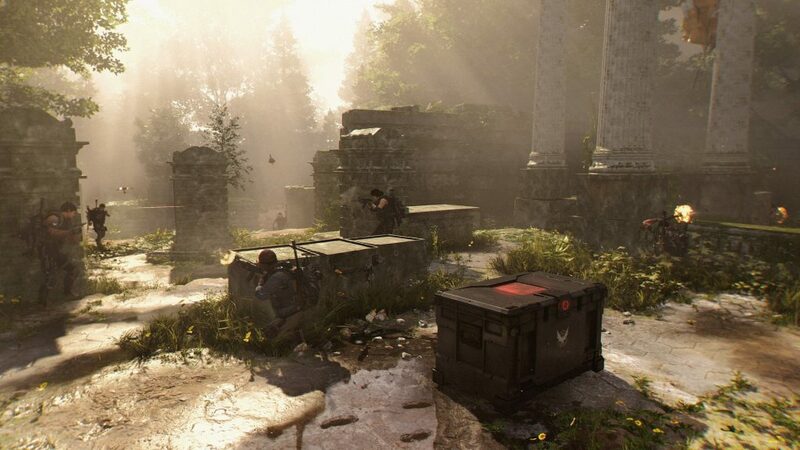 I?m curious about what plans are set for constantly iterating and evolving the world of Tom Clancy’s The Division 2 to have people keep coming back? Changes in the maps, public events, limited-time things, etc.? T: I think we set a precedent with the original game that it?s important for us to pay attention to the people playing the game, and we are here to provide them a service. We want to continue to push and we want to continue to evolve the game. I can?t talk about specifically what we?re gonna do, but what I can tell you is we have committed ourselves as a development studio and with the other development studios that we are still here. We?re not going to just take a vacation. 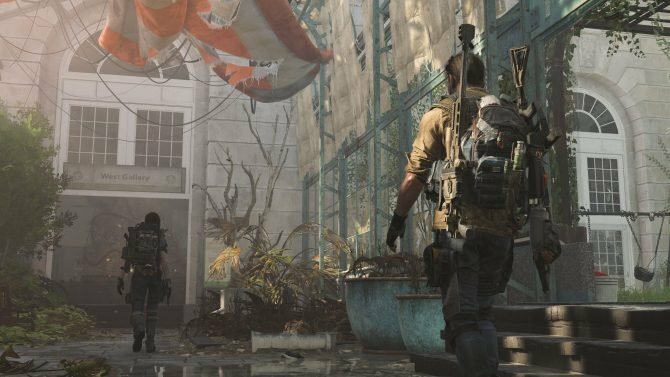 We?re gonna pay attention, and we have plans in place, and then we have resources allocated to maybe things we didn’t plan for based on feedback, so we can all push forward together and be happy.We spent two-something years, and I don?t know how many years in post-launch, changing [Tom Clancy’s The Division], improving the game, adding more and more to the game. It was very rewarding to be able to do that, to be able to stand in front of players and say, ?that thing you wanted? We got you.? We want to do that again because it was really fun. The whole first year of content that we have planned out that is at my desk right now ? free! No one has to pay a dime to get all the new content that?s coming out. The raid that?s coming?brand new to the franchise. 8-player raid. It?s gonna be huge. It?s not a kiddie event. This is a real knock-em-up, drag you through the mud, ?how do we do this?? kind of raid. That’s gonna be great for our player base too. C: And I?m assuming that based on whatever feedback you get on that raid, maybe more will come afterward? T: Maybe. I know I would like to see it, and there are a lot of stakeholders including the community, so we?ll see what takes hold. C: What do you want the public perception of Tom Clancy’ The Divison 2 to be? What do you want to stick to people?s minds when trying to get them to play this game over other ?always online? games? T: The fact that we?re an RPG I think helps a lot, and we?re pretty unique in the space. A third-person online RPG shooter. You don?t see a whole lot of those. The fact that we have something for everyone: [PvP and the Dark Zone] are one component of a gigantic game. I truly believe that there?s something for everyone because it?s not just a mantra, it was a philosophy. We did this amazing data spread on: here are the players that play our game, what attracts them, what keeps them, what retains them, what turns them off. Being realistic, there are some fantastic games out there, and I?m sure people will take the time to play them. But I know people are going to look at The Division 2 because of the brand, because of all the things we have to offer, and because of our ability to iterate continually and respond to our community when maybe something isn’t right. Maybe something needs to be tweaked, and we listen, and I think we’ve proven that over the last three years. I?d like to think that makes us stand out. C: This is more of a thematic thing, but I was doing my due diligence and reading about Red Storm and I saw that one of the co-founders was Tom Clancy himself. Tom Clancy hasn’t been with us for a while now, and I feel like I just see his name plopped in front of every single game title. So I?m wondering what does having ?Tom Clancy?s? 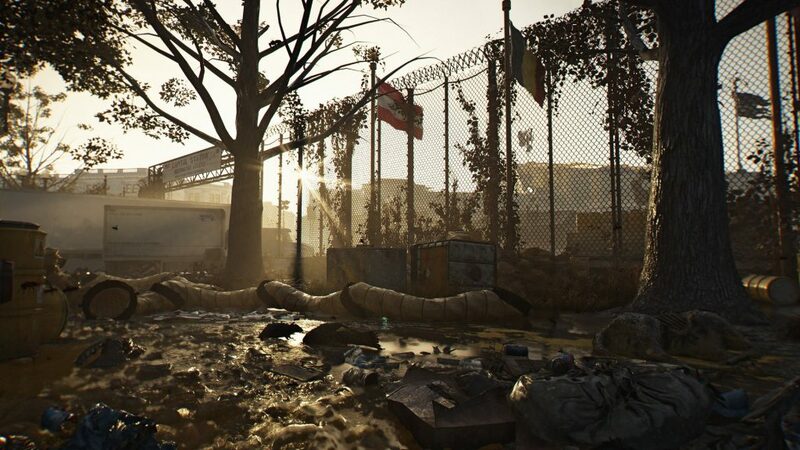 in front of ?The Division 2? really mean? T: You know, having Mr. Clancy found the studio and having Ubisoft see the value in the games that we were creating here at Red Storm back when he was still with us, [meant Red Storm Entertainment’s] games were about plausible reality. And that?s what he built his books on, right? It was fiction, but it was so close to reality, and there was something really appealing with that. And that?s where I think The Division really hits home because it?s plausible reality. It?s completely fiction, it?s an alternate timeline, but if somebody were to weaponize a strain of smallpox, would it happen like this? Is there really a Directive 51? There are some amazing ?what ifs,” and that really magnetizes it for me. The fact that Mr. Clancy did start the studio means that we?ve got some incredible roots in Clancy. We?ve got the central Clancy writer for all of Ubisoft here: Mr. Richard Dansky. He worked with Mr. Clancy 20 years ago, he knows all about that, and he?s an accomplished author himself, so we make sure we stay true to that thread, that essence of Clancy. Then Ubisoft’s Authenticity Coordinator, Mr. Travis Getz, works with all of Ubisoft to make sure that any game with Clancy on it is leveraging all of the relationships we have with military operations, police, fire. He makes sure that anything is presented in a game is real and authentic as possible. That?s what Clancy was all about, right? He was giving you a taste of reality. We have those resources right here at Red Storm, and we?re happy to give them to Ubisoft. C: Are there any themes you want players to contemplate on? T: I?m so fascinated by the Presidential Directive?I mentioned it already, but Directive 51 is something that exists. We don’t know exactly what it entails, I?m sure you could look it up online. But the fact that there are sleeper agents or the idea that there are sleeper agents out there just waiting for something terrible to happen, and if it did happen, (whisper) they would activate. And I love that concept. It?s that special mystery that I always just wonder like, ?is this real? This would be really cool if this were real.? 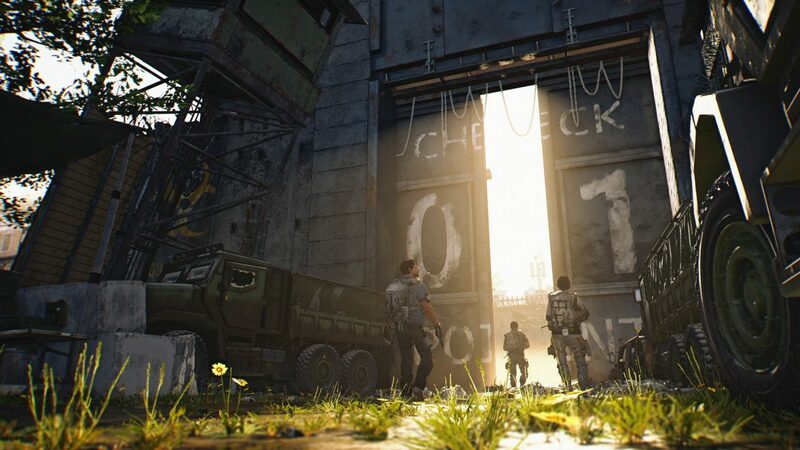 The Division 2 will release on March 15 for PS4, Xbox One, and PC and the console versions of game can currently be pre-ordered on Amazon. On the PC, the game will launch exclusively on Uplay and the Epic Games Store, skipping a Steam launch.